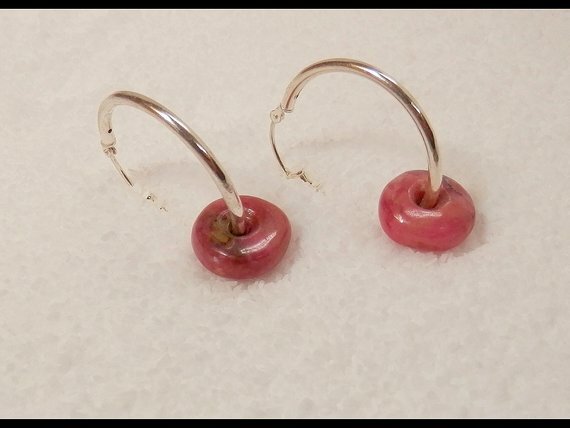 Sterling Silver Hoop Earrings With Hand Carved Pink Rhodonite Do-Nut Beads. 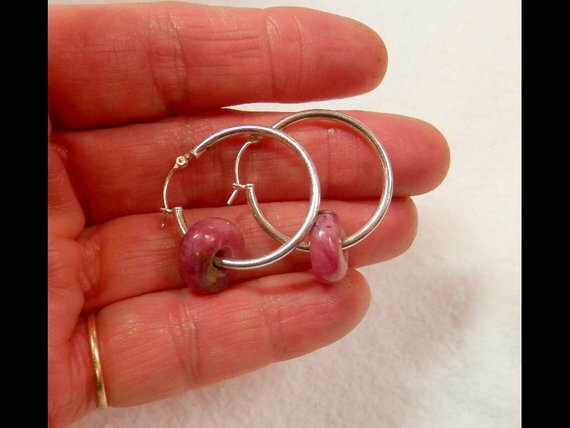 These large sterling silver hoop earrings are the perfect thing to show off Ken's custom carved natural stone beads. Many of our clients buy the first pair and then have Ken cut different stones to trade out for a new color-look. How fun! 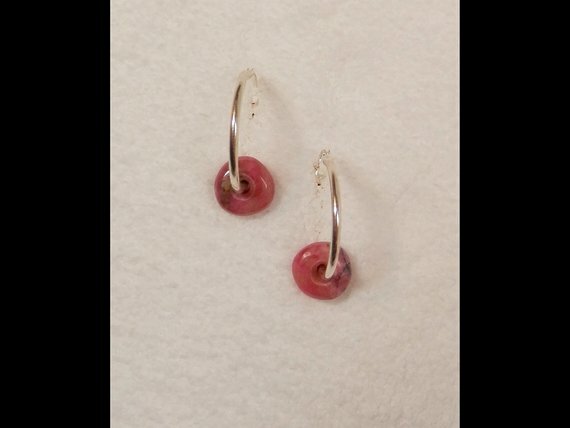 The sterling silver hoops are 26mm and the gem beads are approx. 14mm x 6mm. 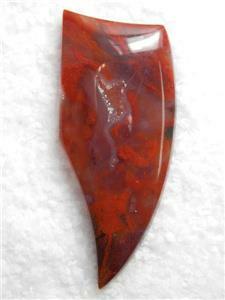 This Rhodonite is bright pink and veined with black stringers. Lovely! Thank you for looking and as always, buy with confidence!